The Atlantic hurricane season starts in early June and can run as late as November. 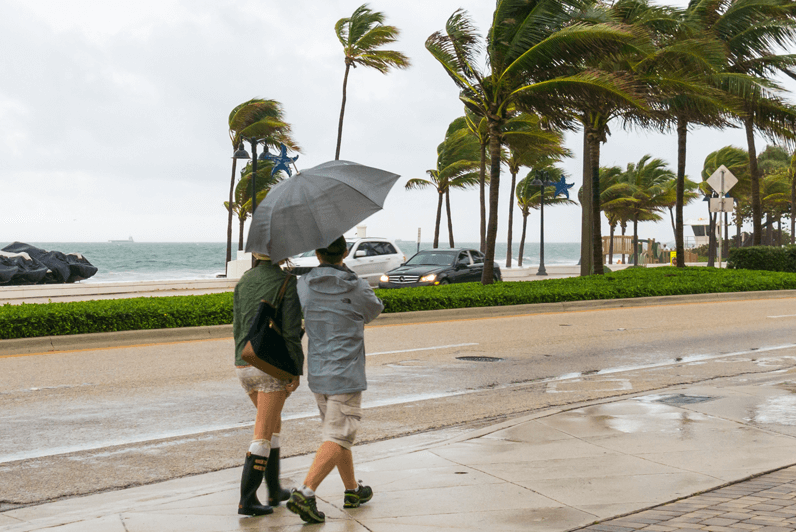 This raises a lot of questions for Canadians travelling to hurricane hot spots like the Caribbean, Mexico, Central America and the East and Gulf coasts of the United States—in particular, Florida, Louisiana and Texas. You still have time to purchase travel insurance, and more importantly, Trip Cancellation & Trip Interruption Insurance. Once a hurricane has been named, it becomes a circumstance known to you and you won’t be covered. It’s similar to trying to buy home insurance while your house is on fire. If you buy travel insurance after a hurricane (or storm) has been named, you can’t get your trip covered by travel insurance. It’s always a good idea to purchase travel insurance as soon as you finalize your trip and read your policy wording to understand your coverage. Only you can decide if you want to take the risk, but checking Travel.gc.ca for travel advisories specific to hurricanes is a good start. Read our blog post to learn more about travel advisories and how they impact your travel insurance. Before you travel, monitor local news and weather reports and register online with the Canadian government office abroad. Leave all phone numbers and a detailed itinerary with your family and friends if you do go. Lastly, you can always cancel your trip, and if you’ve purchased Trip Cancellation or Trip Interruption Insurance you won’t lose out. If you’re already at your destination when the hurricane hits, contact your travel insurance provider or local embassy for information and assistance. A “ripple effect” can happen if you can’t leave your hometown to get to the first leg of your trip. Make sure you’ve purchased travel insurance that will cover you for situations like these. At TuGo, for instance, our Traveller policy covers you for natural disasters or “unforeseeable events” or delays in connecting flights due to weather conditions. This is provided a formal travel advisory/travel warning has been issued after your departure by Global Affairs Canada or Public Health Agency Canada. Share this article with your friends and family travelling to hurricane hot spots!